In a conversation with Qubad Talabani, the Kurdish representative to the U.S. for their regional government, we discussed what the son of Iraq's President Jalal Talabani called the U.S.’s success story in the Middle East. This was during a recent interview where I received, in some cases, unexpected answers from Mr. Talabani on the subjects of politics, religion, Turkey, Iran, and the Kurdish attitude toward the U.S. for their involvement in Iraq. During the interview, I found Mr. Talabani to be unexpectedly candid, engaging and achingly interested in putting across to the American people what the Kurds have accomplished and how much of that progress they attribute to past, current, and – emphasized – ongoing U.S. engagement in the region. J. Congratulations on your father’s reelection. Q. Thank you. Thank you very much. J. It’s been eight months since the government was formed. Is the stalemate over; in process? Q. I think that we’ve made significant progress toward the formation of the government, initially assigning the top three posts in the government and I think that has now opened the door for thorough and multilateral negotiations to continue to form the cabinet of the government itself. And we’re proud, as Kurds, that we’ve been, pretty much, the architect of this initiative, to be able to break the impasse through the initiative is another indication of the positive role that we played for all of Iraq. J. There are reports that some members of the Sunni Delegation walked out of Parliament because of members banned because of prior involvement in Saddam’s regime? many have apologized for the walk-out; they have personally called President Talabani, apologized and let him know that the walk-out was in no way directed at him and that they see him as the father of the country who can really help unite the country. There are issues that are outstanding that every community has and is bringing to the table. One such is the issue of banned politicians or politicians who’ve been accused of having ties to the former regime and their ability to participate in the political process. The Kurdish position has always been, as long as these people do not have blood on their hands; that were not implicated in the genocide of the Kurds or many of the crimes against humanity throughout the country; then they should be allowed to participate in the process. We only have an issue with those that have the blood of the Iraqi people on their hands. There are other issues pending for the Kurdish president. A proposed power-sharing agreement will need support from both the Sunni and Shi'a members of the Iraqi Parliament, many of whom are opposed to Article 140; the referendum designed to resolve the disputed territory of Kirkuk. J. Your father's nickname is Mam Jalal, which is Uncle Jalal. Can you tell me about the origin of that nickname? Q. There are disputing facts about the origins of the nickname. Probably the most accurate description is that he was actually named after an uncle of his whose name was Jalal and that was in respect and deference to that uncle. I think, from a young age, my father developed young and became very politically active young, so the term, uncle, became a symbol of his political maturity at a very young age. Of course, as he developed politically and as he rose up the ranks in the Kurdish youth movement and then the resistance, he started to become genuinely an uncle to many and he’s always played that kind of uniting role; the force of moderation who’s tried to bring different parties, factions and friends together to try to move a process forward. 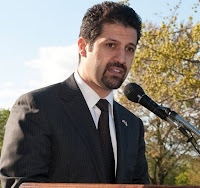 The conversation shifted to Qubad Talabani’s maternal grandfather, Ibrahim Ahmad, a Kurdish author and political activist who was the first chairman of the Kurdish Democratic Party. J. You were raised in England with your grandparents. Your grandfather was a poet? Q. He was poet; he was a writer, and a political leader. He wrote one of the first ever Kurdish fictional novels that was actually turned into a Kurdish movie. As most intellectuals of his era, he was also political and was part of a core team that began championing Kurdish rights – not just in the battlefield – but also intellectually. His love of poetry and his love of writing was equal to his love of his homeland and his people. J. What’s the movie from his book? Q. It’s a Kurdish movie, the same name of the book [Janî Gel], which is THE SUFFERING OF A PEOPLE. It’s a moving tale of how a husband has gone to find a midwife because his wife is labor. As he leaves his home, he gets caught up in a demonstration against the state. The state cracks down on the demonstration and the husband is in prison for ten years. As he is freed from prison, he tries to find his wife and child. The beauty of the book is that it’s generic. It doesn’t specify a country, it doesn’t specify a town. It doesn’t even specify a year. It gives a vague timeframe because it’s a scenario that’s probably happened to numerous Kurds, but probably to other people, other nationalities; other causes around the world. It’s something that could be appreciated beyond the boundaries of Kurdistan. J. Back to your father. A report has come out that he does not want to sign the order for Tariq Aziz’s death sentence and that your father is against the death penalty. Q. That’s correct. My father has been on the record for a long time now saying that he is against the death penalty. He’s always been against the death penalty. I don’t think he’s ever signed an execution order, so it’s a principled issue for him and less about the people in question; the perpetrators of the crimes or the people that have been convicted. He’s not for the death penalty. J. The reason I ask is that, from what I can tell, there’s not a wide understanding about the Kurdish people or the complexities of Kurdish culture here in America. Q. Unfortunately, you’re right. It’s amazing because we’ve tried almost everything. We’ve tried the traditional public relations outreach. We’ve tried the commercials and the press releases. I’m traveling around the country speaking to Americans from Columbus to South Carolina to San Francisco. In my opinion, nothing has – and I don’t mean this in a bad way – nothing has the impact as much as Hollywood. It’s only when there is a film is when a cause is understood. Look at HOTEL RWANDA. We all heard about the Rwandan genocide, but it was when everybody watched the movie, that it went from beyond the human rights community to a broad American community. It was a powerful movie. I had tears in my eyes throughout it. I was also complicit in not knowing about the issue until I watched the movie. J. You mentioned going around the country talking to people. I understand you spoke at the U.S. Holocaust Museum today? Q. There was a workshop there that was run by Columbia Law School and it was to look at the Anfal – the genocide of the Kurds – from a legal jurisprudence perspective. I was asked to talk about the current situation and how the genocide has impacted our psyche and culture and what we feel about the future ultimately. I’ve seen the pictures that we saw again there a thousand times. I still can’t comprehend it that women and children would be killed the way they were killed. To think that somebody could be so merciless to put a bullet in the back of the head of a six-month old baby…I can’t comprehend it. How could one justify to themselves that this action is okay? On March 16, 1988, the Kurdish village of Halabja was subjected to a poison gas attack by air that resulted in the deaths of thousands of men, women and children. The attack, carried out by Ali Hassan al-Majid (known as "Chemical Ali"), who as Saddam Hussein's cousin, was designated an act of genocide by the Iraqi High Criminal Court on March 1, 2010. J. A psychologist, Gus Gilbert, who was assigned to the prisoners at the Nuremberg trials, wrote that the common denominator between the defendants was an absence of empathy. Q. It is still relevant today. That psyche, that insecurity that stems from [being at effect of] that [type of] history is part and parcel of our decision making, our sometimes visceral reactions to things, our apparent stubbornness on other issues. It’s not because we want to be stubborn or difficult. It’s because we’ve had a lousy history. Iraq has had a lousy history. Iraq has had a history of violence, of torture, of oppression. We thought the Kurds got it. The Shi’ite Arabs got it, too. And the Arabs’ marshes were depleted just as our mountains were cut down to size. It’s been a devastated society, a devastated country. That is the primary obstacle to the country moving forward smoothly. J. Many people picture desert and violence when they think of Iraq. Is Iraqi Kurdistan like that? Q. Iraqi Kurdistan is to me – I consider it a vibrant, thriving, civil society in the heart of a turbulent Middle East. I view it as this beautiful part of the world with majestic mountains, sweeping valleys with a natural beauty that is unrivaled, but with a population that has seen so much tragedy that has instilled in us an enormous sense of national pride and, at times, a sense of resilience which could be translated as stubbornness. Q. It’s a historical saying. We’ll always have our mountains as friends. Today, we have friends far away from the mountains of Kurdistan, including, I’d like to think, friends here in the United States. I want America to appreciate who we are; what we’ve been able to achieve with your help. I always say Kurdistan is a success story because of, and, at times, in spite of U.S. policy. Q. I would want the United States to embrace Kurdistan’s success story as its own success. There have been critical moments in history where strategic U.S. intervention has led to or been a principle reason as to why Kurdistan is successful today. The intervention in ’92 to set up the No Fly Zone was critical to prevent another genocide that also allowed us; that gave us the cover to protect, develop and start to institutionalize our region. We had our election for the first time. We started to taste the fruits of democracy for the first time. We encountered numerous obstacles and problems and made big mistakes along the way. That’s another issue. The intervention was strategic in its impact on Kurdistan. Whether anyone genuinely thought about the implications of the intervention, I don’t know. Thankfully, I don’t have to worry about that. The intervention in ’92 has given us a foundation to be where we are today. Subsequently and equally as importantly, the United States’ initiative in ’97 to bring warring Kurdish parties to a negotiating table in Washington, D.C., to sign the Washington Peace Agreement in 1998, was the next major initiative that has led to where we are today in Kurdistan. Obviously, the third and most impacting event was the removal of Saddam Hussein 2003 because that took the roof off the problem and allowed us to truly blossom into the political, social and economic success story that we are today. These are the positives. These are the “because ofs.” The “in spite of” has come in Iraq’s political maturity and development. We’ve had to fight for everything that we’ve gotten politically in Iraq, with at times resistance from our American friends. For example, we had to fight with the Coalition Provincial Authority – Ambassador Bremer’s team – on insuring that Kurdish becomes an official language in Iraq. The Arabs were fine with it and I couldn’t figure, for the life of me, why Ambassador Bremer would oppose this issue. But we understand that in a relationship like ours, with a country like the United States, we will not always agree on everything, but what’s important is the strategic trajectory, and that , I believe is on a positive path. J. Could the “in spite of” have something to do with how Turkey might have reacted? Q. Maybe. I think the United States, I mean the government, appreciates what we are and where we are. I just wish that at times it would worry about its own interests before interests of regional states. J. One of those regional states is Iran, which is your neighbor. How do you keep the peace with them and not get caught up in the politics between them and the rest of the world? Q. What I’ve told those who’ve expressed their concern about Kurdish closeness to Iran is find me one example where we have carried out an action or a policy that has been consistent with Iran’s interests and, at the same time, detrimental to U.S. interests. We haven’t done it. Of course we want to have good relations with all of the countries that we live next door to. We didn’t pick the neighborhood that we live in. It picked us. J. Wouldn’t the nuance required to deal with your neighbors also apply to Turkey and the U.S. and how that impacts Kurdistan? Q. Turkey has changed. Turkey has transformed from this secular, cold war ally of the United States, Ataturk Kemalist’s vision, pro-Israel, another non-Arab, pro-Israeli group of democrats who were secular in the Middle East. That was the perfect combination of attributes for the United States at the time. That is no longer the same Turkey. Turkey has changed. Turkey has a new government, a new government with a new mandate; a new platform – a very strategic and systematic shift in policy which places its emphasis on the region of the world it (Turkey) lives in. "Turkey has changed. Turkey has a new government, a new government with a new mandate; a new platform – a very strategic and systematic shift in policy which places its emphasis on the region of the world it lives in." The Kurds of Turkey are the minority just across the border from Iraq with their own long history of struggle against a government that historically did not recognize their unique identity. To Turks, Kurds were Mountain Turks, not Kurds. Their language has been suppressed and their people oppressed. The conflict has been exacerbated the tactics of the PKK, a Kurdish resistance organization from Turkey declared a terrorist group by Turkey, the U.S and the E.U. The PKK operates out of mountain bases over the Iraqi border, a point of contention at times between governments. J. Another saying: Kurds hold their Islam with a light touch. Q. Kurds are Kurds first. Maybe that wasn’t always the case. It certainly wasn’t during Selahedine’s (Ayoubi) time, but Kurds are Kurds first today and, in my opinion, it’s because – when we were being massacred – nobody came out in the Muslim world to say: “hang on a minute. This is wrong.” No religious authority from Cairo or Saudi Arabia or any of the other epicenters of the Muslim world came out and said here are Muslim brothers being massacred by supposed Muslims in the form of Saddam’s Iraq. That’s gone a long way, again, toward increasing nationalism, which I believe is a defensive ideology. Nothing instills nationalism more than oppression and fear. J. In Kurdistan, you’ve opened the gates to Iraqi Christians and other faiths – people who are running away from religious oppression. Q. Absolutely. You’re spot on. We’ve always had a very healthy and vibrant Christian community in Kurdistan. 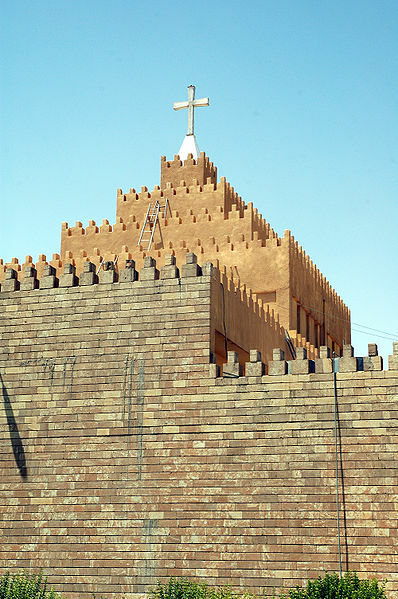 There have been many villages in Kurdistan, predominantly in Dohuk Province, that have always been primarily Christian. But this wave of Christian refugees has come atrocities carried out in Basra, atrocities carried out in Baghdad, and atrocities carried out against them in Mosul, in Nineveh. J. Mosul is historical Nineveh? Q. Yes, the name of the province is now technically Nineveh. We’ve had this welcoming policy [to Iraqi Christians]; we’ve probably settled in Kurdistan 12,000 to 15,000 Christian families and, regrettably, hundreds of thousands have left Iraq altogether. Those who’ve chosen not to leave Iraq have resettled in Kurdistan. You go to Erbil, the capital of Kurdistan region; you’ll see the most thriving, vibrant sector of the city is the Christian quarter. I think that tolerance to other religions, whether it’s to Kurdish Yazidis; Kurdish by ethnicity, Yazidi by religion, whether it’s to Shiite Kurds, this pluralism, this tolerance that exists in Kurdistan I think stems from the fact that we put our identity first. J. I’m reminded of an interview a few years ago with a Kurdish police official, who, when asked about religion, responded, “I’m Kurdish, I am Muslim, I am Yazidi, I am Zoroastrian…” which surprised the interviewer. How much is your ancient history part of your identity, as well? "There is a developing trend among young Kurdish nationalists who are saying, 'I’m Zoroastrian.'" Q. There is a developing trend among young Kurdish nationalists who are saying, “I’m Zoroastrian.” They’ll wear the Zoroastrian symbol on their neck. That’s a growing trend, especially among the youth, because they feel they have more in common with Zoroastrianism than they do with Islam. The Kurds, with descent from the Medes, were originally Zoroastrian, as were Iranians and a large portion of East from the 6th century BCE to the 7th Century CE (the three Wise Men were Zoroastrian priests). Given the ancient religion’s precepts: equality of the sexes; protection of the environment; tolerance for other religions; personal responsibility, and loyalty to family, country and God; this makes it an intriguing choice for a young population in the Middle East. J. The Parsi in India who are Zoroastrian require people be born into the religion. 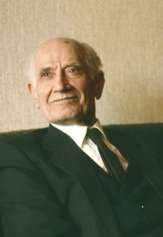 Are Kurds accepted into it because of their original history of Zoroastrianism? The Yazidi religion has elements of Zoroastrianism, Mirthaism, Islam, Manichaeism, Judaism and Chaldean Christianity. They've been vilified since before the Ottoman era because of a Muslim belief that the name, Melek Taus, the Yazidi’s Peacock Angel, translates as the devil. As such, they have been accused of “devil worship.” Yazidis refute the charge and point out Melek Taus is one of seven angels in their theology. The translation of the word, Taus, from the ancient Greek, Theos, God, supports their claim. Q. We are proud of our Kurdish Jews, of which there are many, although, unfortunately, few, if any, in Kurdistan today. There’s currently a lot more in the U.S. than in Kurdistan. But, we’re proud of the fact that there’s a community in Israel today that is Jewish by religion but view themselves or remember themselves as Kurds. Every major town or city in Kurdistan has a Jewish quarter or what would have been a Jewish neighborhood. We don’t have sensitivity toward Judaism as a religion or Jews as a people. We’re pretty honest with each other. There are different religions and we’ve got to respect these different religions, whether it’s Christianity, whether it’s Islam, whether it’s Judaism, whether it’s Zoroastrianism, Yazidis, or whether people are atheists. It’s their choice. J. The role of Islam. There is an organization called the Kurdish Islamic Union? Q. A political party, the Islamic Union of Kurdistan (KIU). Up until recently, they were the principle opposition to the established KDP and PUK. With the emergence of the Change Party, that changed the balance as they’ve taken on the mantle of the opposition. But the Islamic Union of Kurdistan is a legitimate political party which is, obviously, rooted in Islam, as its principle tenants or platform. But there is a Kurdish nationalist component to the KIU that plays out occasionally in their politics and policies. They have wisely; they’re not interested in Sharia Law or the imposition of Islam on others. I know that they know that wouldn’t be tolerated among the broad elements of Kurdish society, even the pious ones. 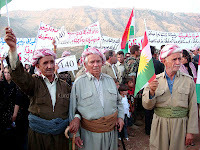 The Change List (Gorran) is a political movement under the leadership of Nawshirwan Mustafa, the co-founder of the Patriotic Union of Kurdistan (PUK). The list was started in 2006 as an opposition movement. Their platform includes federalism, economic transparency, and a strong judiciary. Change list participants include members of the PUK, PDK, the Peshmerga, left-leaning academics and intellectuals. 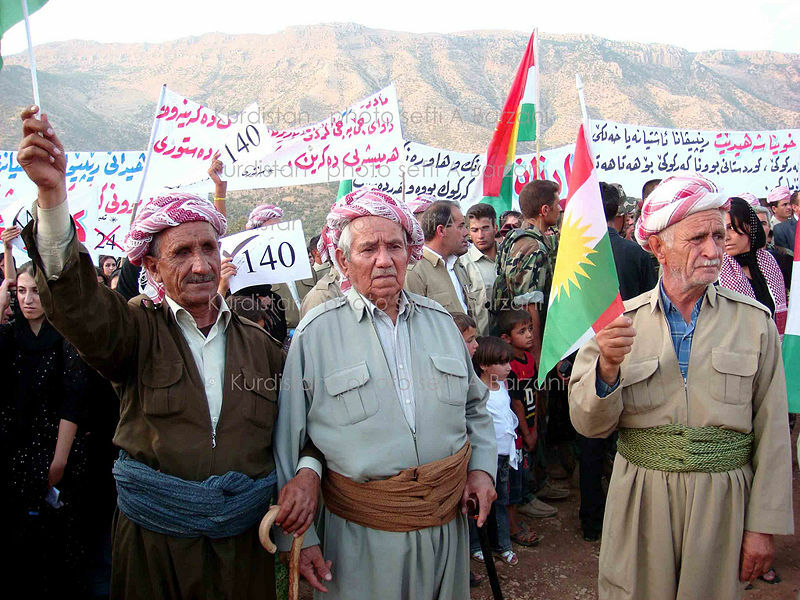 They won twenty-five seats in the 2009 Parliament with the majority of their support coming from within the Sulaymānīya district in Kurdistan. J. Regarding Kurdish society, there is a difference between cities and outlying villages? Q. I think whether you’re in the United States or in Kurdistan, when you go out into the rural areas, you’ll find a much more prominent role for religion in everyday life. You’ll see that across nations. Our administration of governance is of a secular nature. There’s a separation, in our case, between Mosque and state and we will stay that way. There are women in the Kurdish parliament and their army (Peshmerga). On the darker side there are honor killings and devastating crimes against women. Kurdistan's more conservative society is male dominated and has garnered attention by world media and non-governmental groups for these issues. J. The role of women. They’re part of your government. But there are stories from more conservative areas where women do not have the same opportunities or, in some cases, are in very difficult circumstances. Q. There have been many advancements for women in Kurdistan but there are areas that still need significant improvement. In terms of women’s participation in government, it’s improving all the time. We have the highest percentage of women in our parliament than most nations around the world, but I don’t think you can say that we’ve addressed women’s rights issues purely through women’s participation in parliament. That is one step. Woman’s participation in civil society is also very strong. Woman’s right’s movements have been instrumental in changing legislation. Troubling issues facing women today such as honor killings, such as female genital mutilation, these are crimes that do happen throughout Iraq, that do happen in Kurdistan and we can’t shy away from this fact. I think it is perceived to be more prevalent in Kurdistan than in other parts of the country, but I think it’s a misperception. It only appears that way because the crimes against women are actually being reported in Kurdistan. They’re not getting reported in other areas. Civil society in Kurdistan is strong and it is not strong in other parts of the country. Islam should not be used as a justification for these crimes against women. I’m very happy to hear the Council of Islamic Scholars in Kurdistan has come out and flatly stated that female genital mutilation is not required by Islam. We’re dealing with cultural issues, cultural norms, rather than an archaic interpretation or application of Islam. In Kurdish society, it’s a cultural issue we need to overcome and it needs a concerted effort. It cannot be done by women alone. It can’t be championed by women’s groups alone. We need to get our religious authorities to champion this issue. We need to get our authorities and lawmakers to champion these issues. And we need to get our male village elders to champion these issues. I think that is the best strategy for addressing these issues, rather than just having a female driven initiative, which may exacerbate the male-female tensions which, in a conservative society, the prospects don’t look good. The way to deal with this is to touch on the moral aspect of the issues, but also the historical aspect of the issues. Women have played an enormously profound role in the Kurdish resistance, whether it was looking after the families while the husbands were at war, or it was raising the families when their husbands were killed or kidnapped or captured, or whether it was women who played an active role in our own insurgency, our own resistance. Whether it was through being messengers, whether it was through being informants, or more open combat. There were many Kurdish women in Peshmergas, Kurdish fighters; many whom, during Operation Iraqi Freedom, were upset at being given the task of manning checkpoints. They wanted to go into battle. They wanted to fight for their homeland. They wanted to fight against the regime, so there are many times throughout history and in present day where women have fought or put their lives in danger for Kurdistan, for their homeland. And that, again, we need to remind some of our village elders of the role of women during the resistance and in the present day administration, as well. The Peshmerga, translation: those who face death, is a Kurdish fighting force with both men and women in their ranks. They were the armed Kurdish resistance during the Saddam regime and existed before that time. They have kept the violence from spilling over into Iraqi Kurdistan, are semi-autonomous from the rest of the Iraqi army but are also deployed for border patrol, in the disputed Nineveh, Diyala, Kirkuk and Salahuddin provinces and took an active part in the Surge strategy within Bagdad. J. Are there initiatives underway to reach out to these elders in the villages? Q. Yes, there has to be public outreach and that has begun. We’ve had discussions with village elders and people who have clout within those communities go out and speak to the communities. We can’t quantify the results as of yet, but it’s being implemented. At the same time, the civil society has pushed for legislative reforms. Women’s groups have been able to criminalize honor killings. This is what civil society is all about. Civil society lobbying governments to change policy, to change legislation, this is the nuts and bolts of governance. This is the nuts and bolts of everyday life. This is the nuts and bolts of integrating a society. As gruesome as some of these issues are, it’s much better to be dealing with these issues than with the daily threats of terrorism that has unfortunately gripped and plagued the rest of the country. J. Compared to the rest of the country, Kurdistan has been noticeably nonviolent. Could you speak to how you’ve achieved that and what keeps the violence in the rest of Iraq from spilling over to Kurdistan and what influence Kurdistan – whether by example or direct action – has had on the rest of Iraq? Q. It’s a great question because it really does open up several factors. One is that it’s important for Americans to know that out of the nearly five thousand U.S. casualties in Iraq, not one of those casualties have occurred in the Kurdistan region. We’ve not lost one U.S. serviceman or civilian, for that matter, in Kurdistan, through hostile action. We’re proud of a statistic that always makes us knock on wood because we want to keep it that way. Why is it? First and foremost, Kurds, by and large, view the United States as liberators. We didn’t view you as occupiers. We liked the fact that you were there. We liked the fact that you came and removed Saddam Hussein. We appreciated the fact that you protected us all these years with the No Fly Zones. So, there was appreciation for the role of the United States. Secondly, we went through our violence. We, unfortunately, had our mini civil war. When we had our democratic government in 1992 it fell apart in two years because the two parties [KDP and PUK] couldn’t govern collectively and ended up fighting over the resources. Ultimately, it had to take the U.S. to intervene in the mid ‘90’s to put an end to the fighting. So, we tasted that violence and I think our society is turned off by that violence. Our people were enormously disappointed with our leadership that, after having fought the Iraqi governments all these years and finally getting a taste of our self governance and freedom, that, rather than embrace that freedom, we turned our guns on each other in a grab for power. It’s a very dark element in our history that we are certain is behind us. So, that intra-Kurdish or intra-regional violence we know is not going to be accepted or tolerated by our society. That’s the social dynamic from inside Kurdistan. What prevents violence from the rest of the country from spilling over into Kurdistan. Everyone praises the Kurdistan regional security services and, yes, they deserve praise. Intelligence agencies are very active. They are very competent. The security services are very diligent. But the real prize, if there has to be a prize, has to go out to the people of Kurdistan. It is the relationship of the people of Kurdistan and the security services that keeps Kurdistan safe. There isn’t that degree of cooperation and trust between the people of “region x” in Iraq and the authorities there. That’s the difference, because to deal with an insurgency you need to, what do you say, to drain the lake. Q. Yes and our society does not tolerate the so called insurgency. Al Qaeda tried to set up a base in Kurdistan after it knew it was going to get hammered in Afghanistan. The intention was to set up a base of operations in Kurdistan and it couldn’t because the society there, although it was predominantly Muslim, although it was in the rural areas predominantly conservative, it was just not tolerant of that intolerant ideology. Henceforth, the Kurdish security services and the people were able to drive these groups out of Kurdistan and that’s why they’re now in other parts of the country. These are significant contributing factors as to why there is the stability in Kurdistan. To summarize, it really comes back to the fact that we had our own political violence. We regret it and we’re ashamed of it and our security services are working closely with our people to prevent the flow of violence from the rest of the country into Kurdistan. J. Your resources. Kurdistan is resource rich and anytime you have – especially – oil and natural gas it creates good and bad opportunities. There was a deal with Hunt Oil Company. There have been deals with non-American companies. Q. The oil of Iraq has been a curse for the Kurds since Iraq’s inception. We’ve never truly benefited from our so-called natural resource. On the contrary, this resource has been used to fund the war of genocide against the Kurdish people. So, for the first time, we have an opportunity to develop our oil and gas sector with the hope of reinvesting the proceeds of the sale of that oil and gas into developing infrastructure, into our educational sector, into our agricultural sector. There is enormous expectation into how we must utilize these resources better than previous governments in Iraq. Thankfully for us, the bar has not been set too very high. We tried to wait for the national process to go forward. We waited until 2006 but it wasn’t going anywhere. We noticed there wasn’t a vision in Iraq to develop the natural resources in a way that we think Iraq’s natural resources should be developed. We had the support from Iraq’s constitution that gave us authority to develop undeveloped fields in the Kurdistan region and, so, we did. In 2006 and 2007 we started signing contracts with international oil companies to develop the oil and gas sector in Kurdistan. Today, we have forty-two international companies from eighteen different countries engaged in the development in Kurdistan’s oil and gas sector. We’re proud of that development. We are today ready to export one-hundred-thousand barrels of new oil per day, contributing to Iraq’s maximum output that will, ultimately, contribute to the return to Iraq’s national treasury. We have the potential to export a million barrels of oil per day. That’s the conservative estimate from our experts. So, this is, no pun intended, an untapped potential that we’re looking to develop because we ultimately understand that Iraq’s main revenue source will be from oil and gas, but it need not be its sole revenue source. J. When you say “ultimately” contribute to the national treasury, where do things stand now with revenue sharing between Kurdistan and the central Iraqi government? Q. Currently, Kurdistan receives seventeen percent of the proceeds from oils sales of Iraq’s budget. That’s after sovereign expenditures have been taken off the top. But, we are in the process of producing more oil and our disappointment with the federal government has been that they spent eight billion dollars trying to develop the oil and gas sector, yet production for Iraq as a whole has declined. There’s something wrong with that picture there. We’ve been able to boost production in Kurdistan without spending a penny from Kurdistan. To us, what is important is opening our oil and gas industry to the world’s private sector because the private sector is more efficient, more effective, can move quicker, to develop these resources, rather than state run institutions. There have been tensions back and forth. There’s been a disagreement on a national hydrocarbons law on a national oil revenue sharing law which as, unfortunately prohibited or limited Iraq’s potential. Big companies are going to be reluctant to come in and invest the kind of money they need to invest barring political progress – barring some sort of legal framework, which is why you see many of the majors kind of sitting on the sidelines or just dipping their toes in the water. But, as the politics progress, you’ll see more and more leading U.S. and international oil companies engage in Iraq as a whole but also in Kurdistan specifically. We see that progress eventually being made. We’re hopeful, with the formation of the next government, the first issue they can tackle will be dealing with the revenue sharing formula, getting the national wealth of the country distributed equitably across the country, starting to build trust and getting people to ownership in the country. A recent report by Foreign Policy Magazine paints a bleaker picture in terms of cooperation on power sharing. The article posits that, while the Obama Administration may view the power sharing agreement as a milestone, the test will come with the introduction of legislation in Parliament of administration over oil-rich fields in disputed areas. J. When there’s a news report that Kurdistan just inked a deal with an oil company, it raises questions here as to what that means. Q. We say, don’t be alarmed. We’re not going to take this oil or the revenue and run away anywhere. J. I think there’s more concern on the political left here that companies are going to take your oil away from you. Q. You know, to be honest with you, this oil has been a curse. They’re welcome to it. I wish we didn’t have it at times and this notion that American came into Iraq for oil, it’s not the case. America is importing more oil from Mexico and Canada than it is from the Middle East right now. J. Why do you think America did go into Iraq? Q. There’s what I wished America came into Iraq for and what they did come into Iraq for. I think that, ultimately, after 9/11, there was a new order and a new state of play in the world and the United States was leading the charge. Saddam was viewed with weapons of mass destruction as a mortal threat to say peace, stability, of allies in the region and, by extension, the United States. That’s why the principle argument for the liberation of Iraq was that Iraq had weapons of mass destruction. We were quietly, publically, actively trying to inject into the justification for this war issues of human rights violations, issues of genocide against the Kurds, issues of genocide against Iraqis, issues of torture and of the constant struggle of many Iraqis – the lack of political freedom, so all of the stuff that is not considered important in world politics, regrettably. J. You’re saying that when you heard about WMD, as we called it here, that was not as much an issue for you as much as the oppression and the past genocide? Q. I think that the case could have been so much stronger – Saddam was in violation of seventeen U.N. Security Council resolutions, some of which did call for enforcement through the use of force – Saddam was a menace to his society and a threat to his neighborhood. He had or we thought he had weapons of mass destruction – we still think he had. He’d used them against us, so they did exist. Every intelligence agency in the world was under the impression that Saddam had WMD’s. J. Now that the stories have come out, since then, that he did not – there are people who will argue that still. There’s a new movie that’s come out – FAIR GAME – which is Valarie Plame’s story, that raise those questions. J. Yes. The story is taken from Patrick Fitzgerald’s investigation about the path to war. Q. There was a general acceptance that Iraq has weapons of mass destruction but without the intelligence that you could touch it and feel it. Saddam played this cat and mouse game with the U.N. for over a decade. Why would he have played this game had he not had anything? To me, this is the single most baffling moment associated with this whole endeavor. But again, the mere fact that the administration at that time put all of its eggs in the WMD basket, in my opinion, weakened their case because there were other issues that were, in my opinion as important as WMD, which is the violation of international law and the daily oppression of the citizens of the country. J. Why don’t we jump into another difficult subject: Kirkuk. Kirkuk is one of the most continuously inhabited cities in the Middle East. Its ties to Kurdish history make it, as some Kurds refer to it, as their Jerusalem. 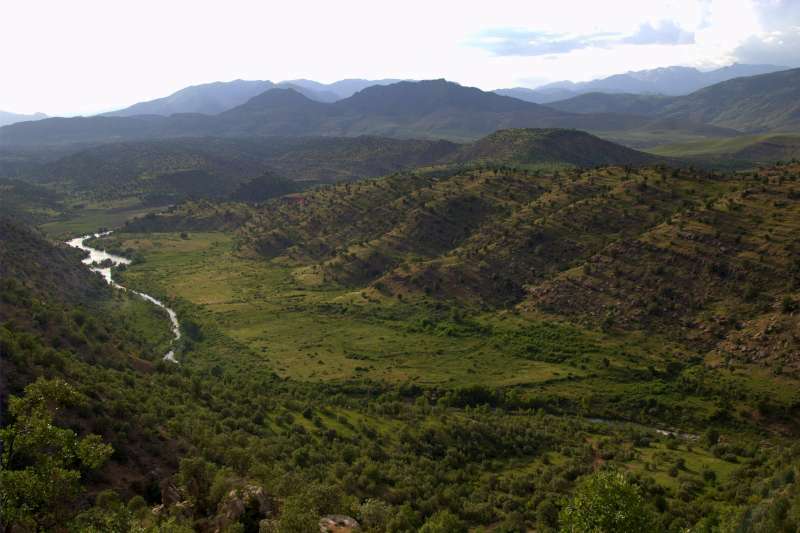 Historical land claims aside, the Kirkuk region straddles the border of Iraqi Kurdistan over a huge reserve of oil. Saddam Hussein depopulated Kurds from the area and moved in Arabic and Turkmen families. It is a potential tipping point between all the factions within Iraq, with each side claiming rights to the land and its resources. Not all members of the Iraqi Parliament support Kurdish administration of the oil-rich province, while many Kurds see the area, which is contiguous to the border of Iraqi Kurdistan, as part of their national heritage. Q. Kirkuk is a messy issue. It is a disputed territory issue which, if we try to extract emotion – take away – subtract emotions from this issue, it becomes ultimately a property claims issue. Here we have a swath of territory, by and large, is contiguous with the current Kurdistan region. This swath of territory, this disputed territory, has an article in the constitution that outlines how to resolve the issue, a road map for resolving the issue. This article breaks the issue up into three components. The first component is normalization. Second is census. The third is a referendum. Again, if we look at this logically, practically, extracting emotions, extracting politics, it can be resolved. It’s not insurmountable. Normalization you can deal with through settlement or a resettlement process. Basically give financial incentives to people to move out or people to move in. Funds can be appropriated to deal with It and that’s what the normalization section outlines. That’s part of Article 140. The second issue is a census to be held nationally but also in the disputed territories to determine who lives where and who eligible to vote, who’s not and what demographics are and so forth. The third and final aspect is the referendum that gives people the right, ultimately, to vote on the terms of their future. That sounds easy on paper. It gets less easy when you start to humanize the issue. When you start thinking about the facts that some families have been living in Kirkuk for thirty years. Their children and grandchildren are there. It gets more complicated when you look at the fact that Saddam didn’t just take a family out of a home and bring a family into a home. He erased entire neighborhoods and rebuilt neighborhoods on different plots of land. Plots of land that people used to own don’t exist anymore. It becomes even more complicated when you’re trying to trace back heritage. You don’t have your deeds anymore. You don’t have your papers documenting that you lived there anymore. So, your only hope is to go back to the graveyard that your parents or grandparents were buried in and you find that Saddam actually razed those graveyards, too. So, all these steps are complicating the matter. Add to the mix Arab nationalism, Kurdish nationalism, Turkish nationalism because there are Turkomans in Kirkuk, Shiitism and, by extension, Iran, because of the Shiite Turkomans in Kirkuk and because of the Shiite Arabs Saddam brought into Kirkuk and the situation gets even more complicated. If that wasn’t enough, throw a little al Qaeda into the mix to play off the insecurities of one another and the situation becomes really messy. And all that would be fine, but we also have enormous oil and gas resources under the soil. So, what was purely a practical and logical process has been significantly complicated due to these external and internal factors. So, the way to resolve it is to stay practical. To keep the emotions out of it. To keep the logic as the forefront of any strategy to resolve this issue. That goes back to the constitution. We could make all of our lives a lot easier if we could detach the oil issue from Kirkuk. Dealing with the oil issue nationally, finding a resolution to the revenue sharing management of oil and gas resources, regardless of where they are, will go a long way to making Kirkuk slightly less complicated, because then it becomes less about oil and more about demographics and administration. When it becomes about demographics and administration, you can be creative on putting in place infrastructure and administrations that will insure equality. What we cannot deviate from is the legal process that’s been outlines in the constitution – Article 140 – normalization, census, referendum. Other than that, it’s a piece of cake. J. Oil and renewable energy. You mentioned the latter in one of your speeches. Q. We have hundreds of days of sun a year. God gave us a lousy neighborhood, but he gave us a lot of sun. He gave us oil and gas and he gave us a lot of sun. This is about Iraq not being an entirely oil dependent economy. It has oil and gas. Great. Let’s reinvest the revenues from Iraq’s oil and gas into developing a renewable energy sector and into developing an I.T. sector which I think is crucial for Kurdistan because of the young population that we have, there are tens of thousands of young Kurds on facebook right now, and other social networking sites connecting and integrating into a larger tech community. All of these factors are important to tap into but we need the insurance policy of our oil and gas sector to do that. Without it, we don’t have the resources to invest in it. Q. It’s our insurance policy and our investor. Not only is it our investor, it’s our schmoozer, what we’ll use and are using to strengthen relations with Turkey and with the United States, with the Arab world. Suddenly, we’re no longer this group of people wearing baggy trousers and hanging around in mountains. We’re players on an international stage. We could be the reliable source of energy to the Nabucco Pipeline which is so important for Turkey, for Europe and for the United States. The biggest obstacle right now is not money; it’s a lack of reliable gas resource. We have that gas resource. During Operation Iraqi Freedom the Kurds had close dealings with the Bush Administration across all aspects of their culture. On a personal level, Qubad Talabani's wife, an American attorney, worked for the Bush Administration’s State Department. Mr. Talabani has been consistent throughout his career in saying that Kurds don’t take sides in American politics. They have been impacted by them. He cites positive dealings with President Clinton and with the first President Bush after years of being ignored by the West, while the war years required a delicate balance during unfolding events. The transition to the Obama Administration and the pullout from Iraq has presented new challenges. J. You made a statement in one of your recent speeches that “all of us in the Kurdistan region know how we want the story to end and that the U.S. has turned the page on its engagement with Iraq.” How do you want the story to end? Q. Those were President Obama’s words, not mine: “turning the page” in his address to the nation he’d stated that the United States has “turned the page.” We’re urging that you don’t close the book. For us, turning the page, I hope means that this is the end of a militarized relationship with Iraq and the beginning of a new, multifaceted, deepened and broadened relationship with Iraq, including the Kurdistan region. The story that I would like to see is a federal Iraq, a democratic Iraq, friendly to the United States, a pluralist government, multi-ethnic, multi-sectarian government, working on behalf of all of the people in the country, maintaining reasonably good relations with the region that it lives in. But, ultimately, it is in a partnership with the United States – a strategic partnership that is a political partnership which becomes a force for moderation for the region. It’s an economic partnership where Iraq can play a responsible role in the world’s economic markets. It can become an energy provider but also energy security can become a major policy of Iraq and specifically Kurdistan. It can become a major force for countering terrorism and extremism, promoting moderation and peace. These are all critical aspects that I would hope are core values that the United States would appreciate in the Middle East. You’ve talked about promoting democracy. It’s starting in Kurdistan. Embrace it. Support it. Defend it. You want to talk about energy security. It’s starting in Kurdistan. We can apply it nationally. Counterterrorism is happening today in Kurdistan. All of the things that we have hoped for in broader Iraq are today happening in the Kurdistan region of Iraq. J. You mentioned Turkey. Isn’t President Obama caught between competing interests? Q. Caught between Iraq and a hard place. We know the feeling. What the world is looking for, in particular, what we are looking for as Kurds, is a clear vision from the United States. What are its core interests? What are its core principles? We see the debate in the United States. We know that there is Iraq fatigue. We know that there is a world economic crisis the United States is caught up in and is suffering as a result of it. We know all these things. We’re reading the tea leaves. We’ve become more astute in observing political reality. If the United States is serious about a long-term commitment with Iraq, we’re ready. If the United States is serious about promoting democracy in Iraq, we’re ready. If the United States wants to talk about economic politics with Iraq, trade deals with Iraq, business and investment opportunities – both ways, by the way – not just Americans investing in Iraq but Kurds and Iraqis investing in America, we’re ready. Emotionally, we’re ready. Physically, we still have a ways to go, because we’ve got to get Iraq right. We’ve got to solve the problems in Iraq. And solving the problems in Iraq is going to require continued U.S. engagement and interest. Q . We don’t have much time. We don’t want much time. What we need is the commitment of continued engagement. We need the commitment for the deepening and broadening of the relationship. Now, I understand that Americans are very frustrated. For eight months [the time it took to form Iraq’s current government], they’ve been ready. We’ve had our shenanigans domestically. I understand that. This is not a blame game here. But I think strategically moving forward. There is ambiguity and a lack of clarity as to the kind of relationship and how deep the United States wants a relationship with Iraq. I put it partly down to domestic politics and I don’t want Americans to look at Iraq as President Bush’s Iraq. While Kurds are certainly appreciative of President Bush’s initiative, so to speak, we also remember very fondly President Clinton’s bravery in signing the Iraq Liberation Act in 1998. We remember very well Madeline Albright’s efforts in bringing the peace between the two Kurdish parties. Going back, we remember President Bush, Sr.’s policy ultimately, even though it was forced upon him, to implement the No Fly Zones, the safe haven. So, we don’t want to be embroiled in a domestic political battle between Republicans and Democrats. We’re bipartisan in all of this. J. With that in mind, the current president is President Obama. What do you hope to see from him, given this unique time in our history? Q. He is a president in a very difficult time for the United States of America and we appreciate that. We do not want to be a burden on him or on America as a country. As the United States withdraws its troops militarily, I think the United States should be ready and open, if Iraq requests it and I’m sure that it will, to talk about the renegotiation of the status of forces agreement, between Iraq and the United States, but to start thinking strategically, beyond just here and now, strategically into partnerships, that are political in nature, that are economic in nature, that were touched upon in the strategic framework agreement between Iraq and the United States. But not having this as a nice document, a shared document between two nations, but actually a working document between Iraq, including the Kurdistan region and the United States. What would be nice for Americans across the political spectrum to know is that you have a friend in the Kurds. And even though there may be times when we might disagree with one another, this friendship we feel is strong, is deep, and is based on core values and core principles. There is a success story in the Middle East that has significant U.S. fingerprints on it and I can’t point to too many of those right now in the Middle East. This success story needs to be embraced. It shouldn’t be feared. It needs to be developed. It shouldn’t be ignored. I’m hopeful this administration along with future administrations in the United States will appreciate this and help us where we need help, guide us where we need guidance, work with us when we need to be worked with.